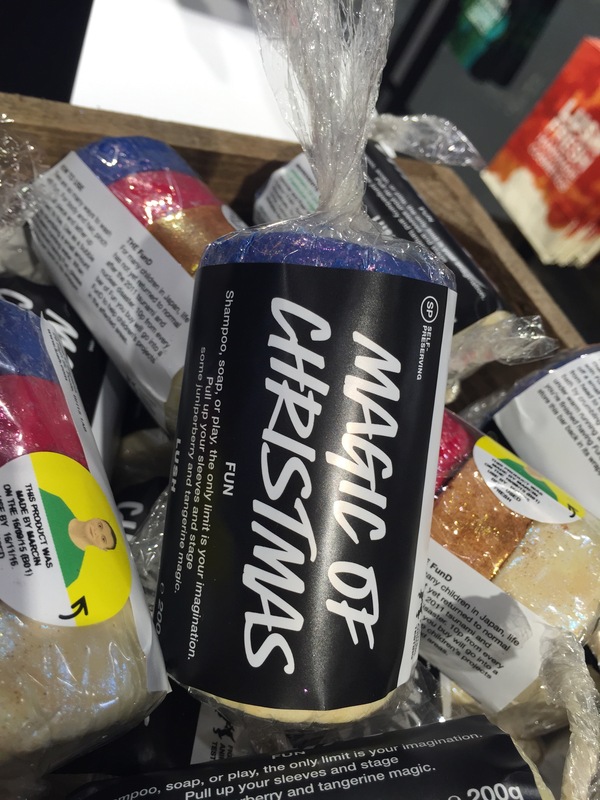 So Christmas is in its way, and lush have released they Christmas range. 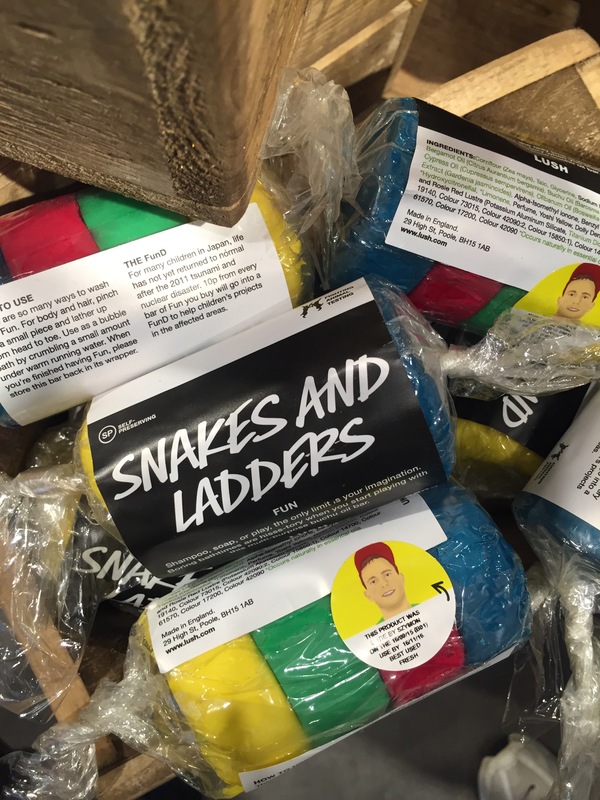 At the moment it is only avalible at Lush Oxford Street but will be released online and at all store very soon. 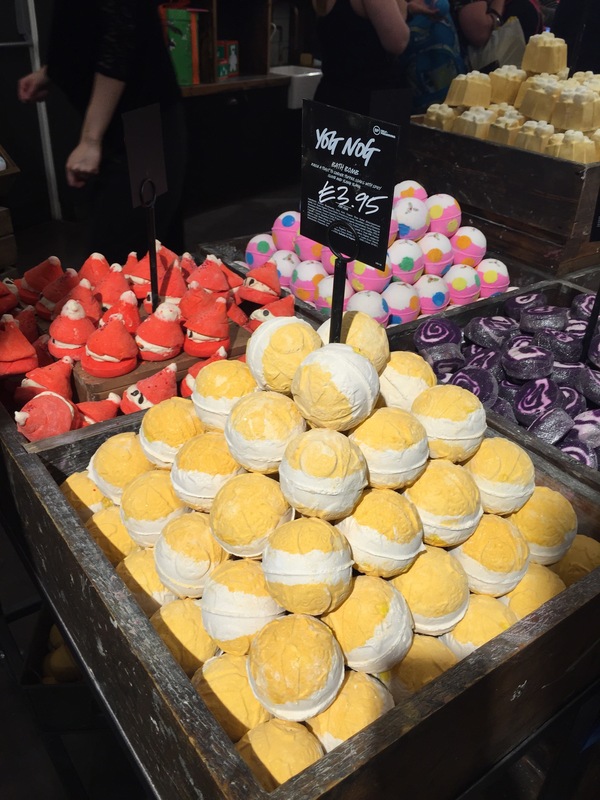 But I thought I would show you a few of the products that you will find in your lush store soon. 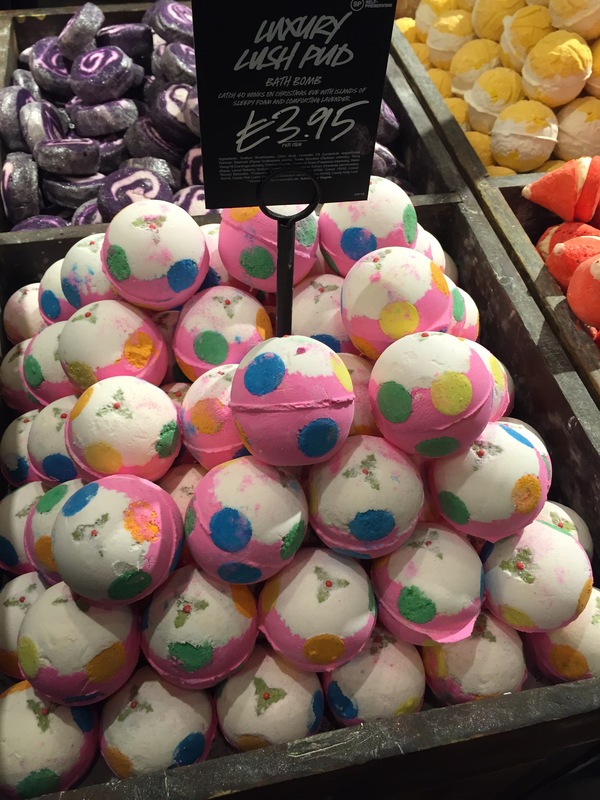 Bath bombs and bubble bars are always my favourite at Christmas, I love how inventive and creative they are and it makes me so excited for Christmas. 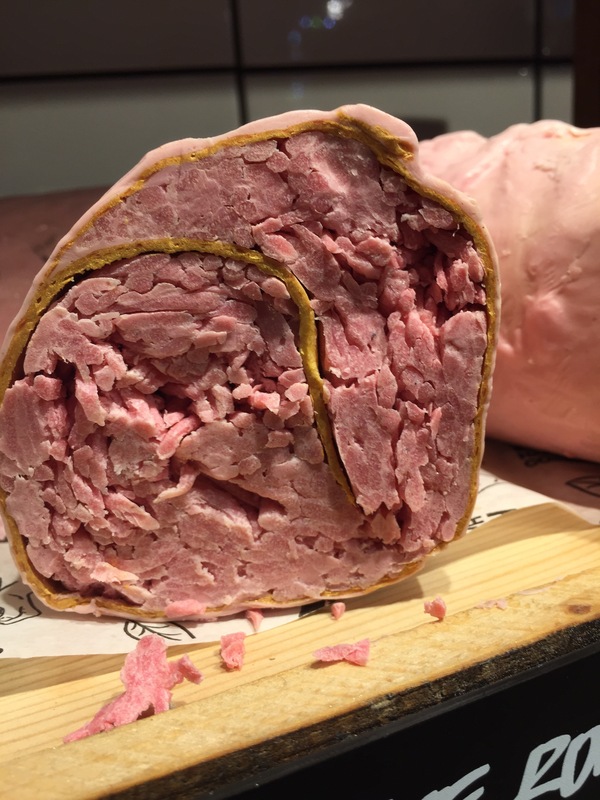 This year you will find a lot of the old favourites from last year but also a few new exciting items to. 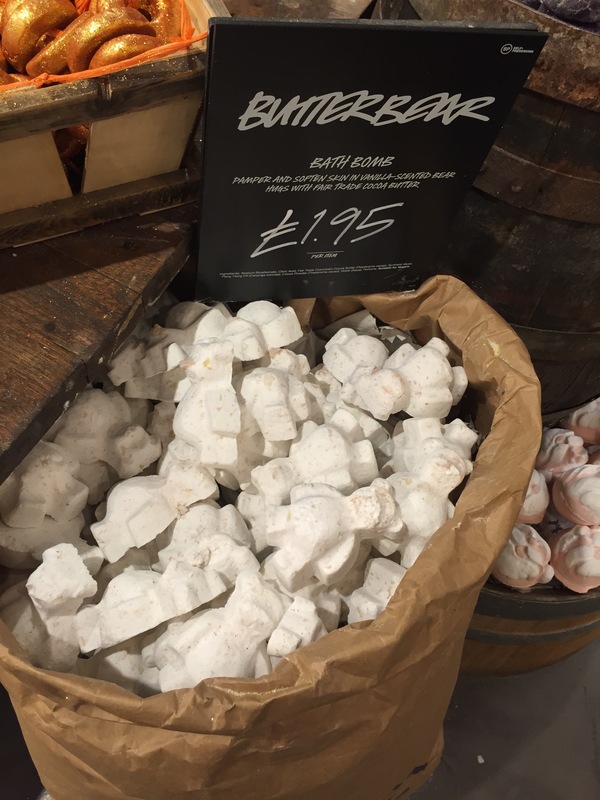 BUTTERBEAR bath bomb, which is a very cute villainy scented bear with sprinkled cocoa powder. 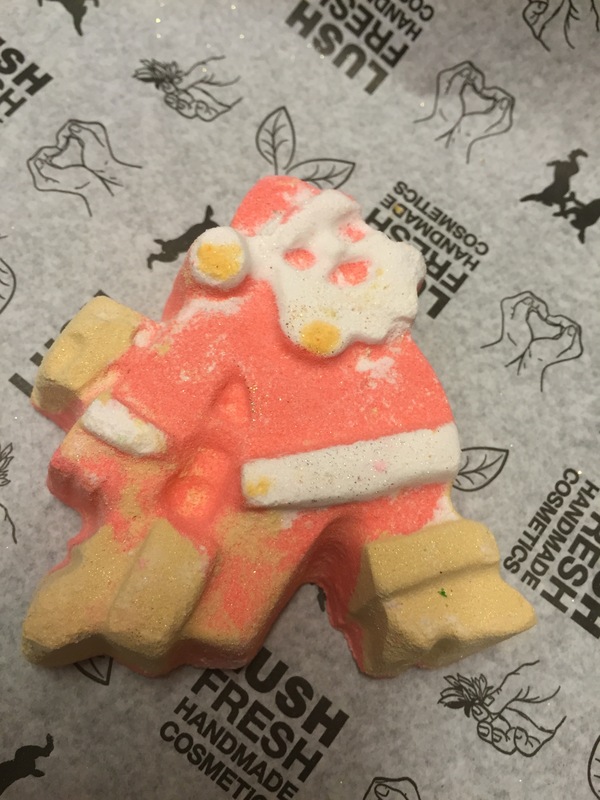 DASHING SANTA a citrusy and zesty bath bomb. 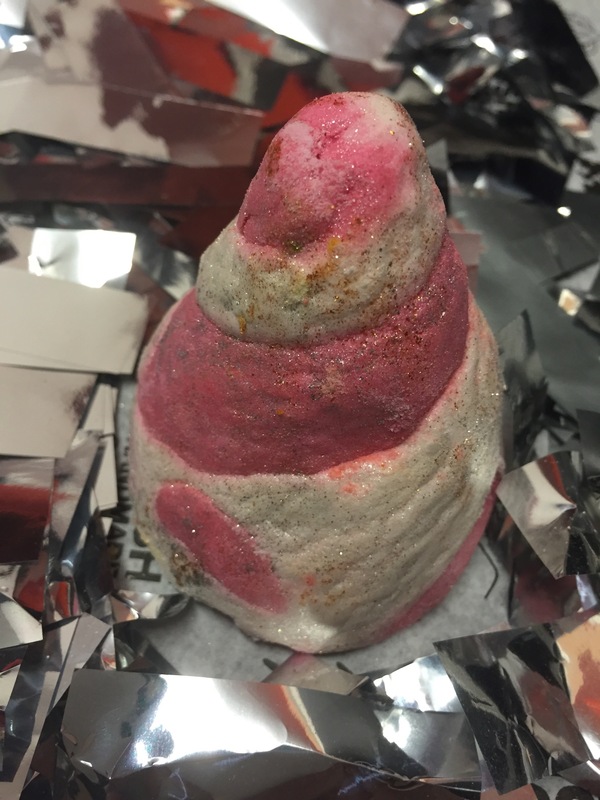 CINDERS: a lovely small but powerful bath bomb that smells of sweet cinanmon. 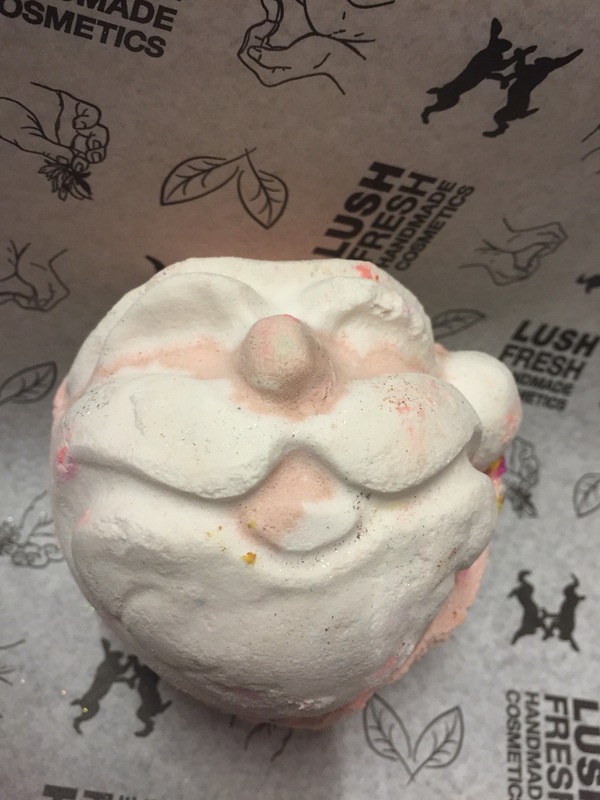 FATHER CHRISTMAS: a cute Santa face shaped bath bomb with a lovely sweet scent. 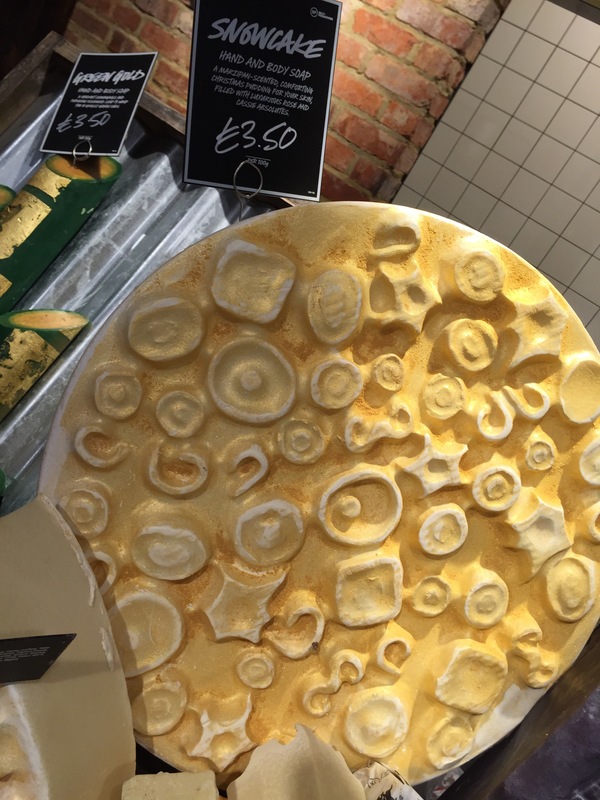 GOLDEN WONDERS: One of my all time favourites, a lovely parcel shaped bath bomb of magical wonder. 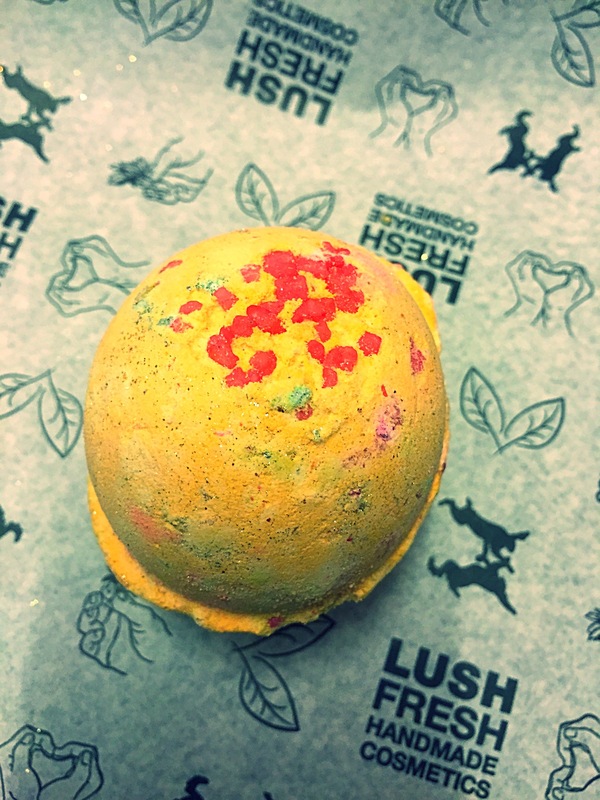 LUXURY LUSH PUD: a very colourful and bright product that smells very similar to twilight bath bomb. 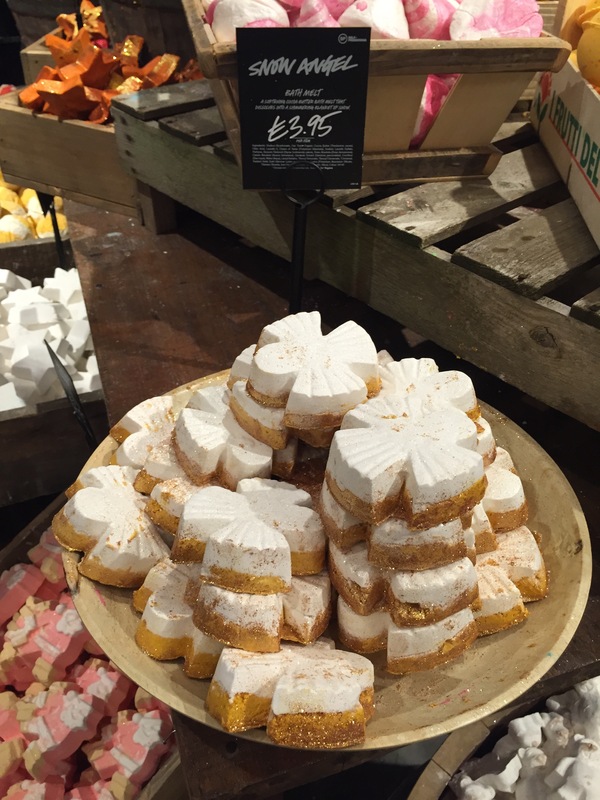 SNOW ANGEL BATH MELT: a beautiful snowcake scented angel shaped product. 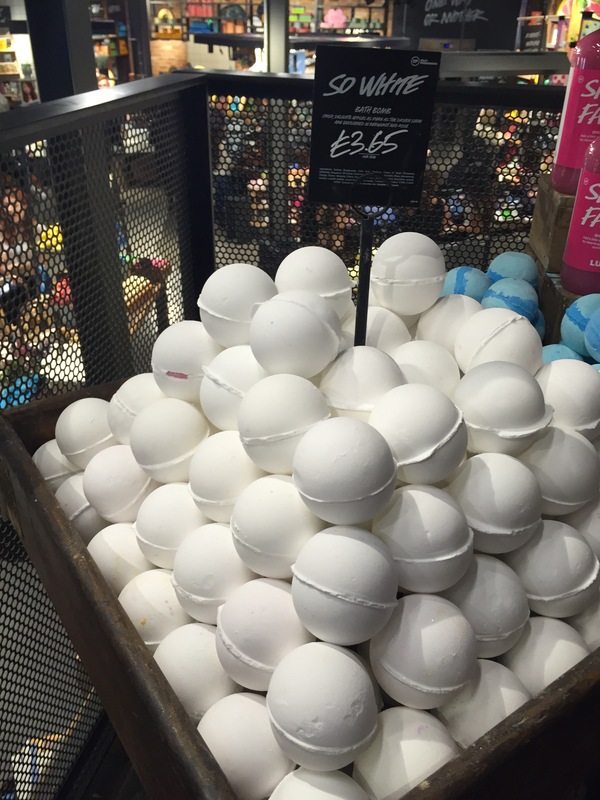 SO WHITE: An apple scented bathbomb that you will need this winter as a lush staple. CANDY MOUNTAIN BUBBLE BAR: a sweet candy floss scented bubble bar. 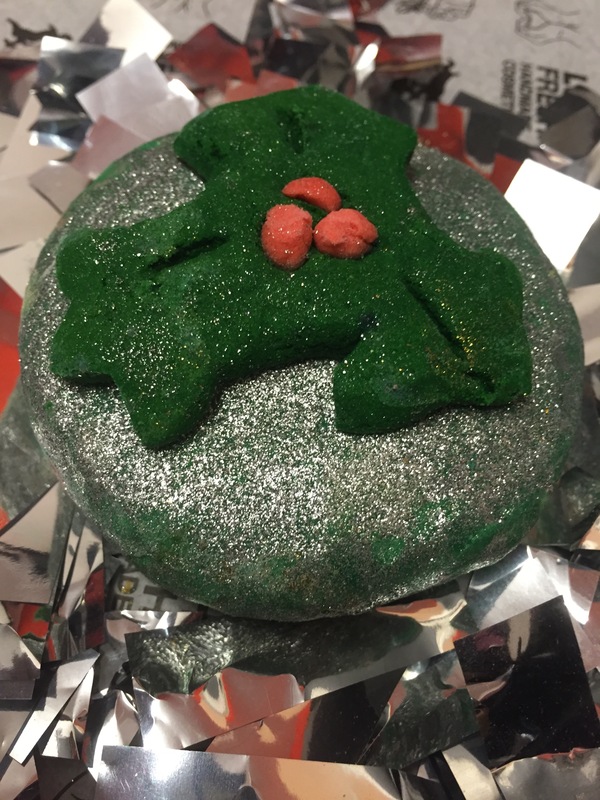 HOLLY GOLIGHTLY BUBBLE BAR: A very large sparkly bubble bar that smells like hot toddy shower gel. MAGIC WAND: This year the magic wand is back but it has been redesigned and looks amazing. 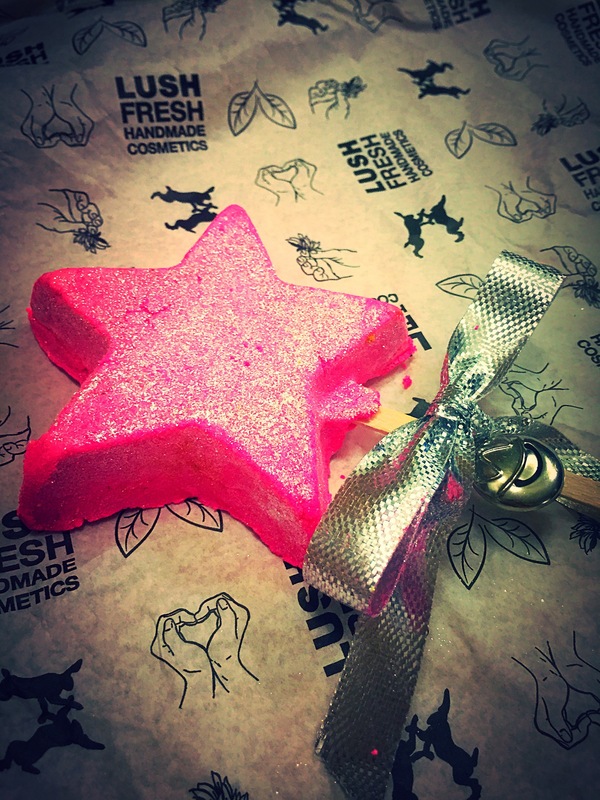 This reusable bubble bar smells just like snow fairy shower gel. 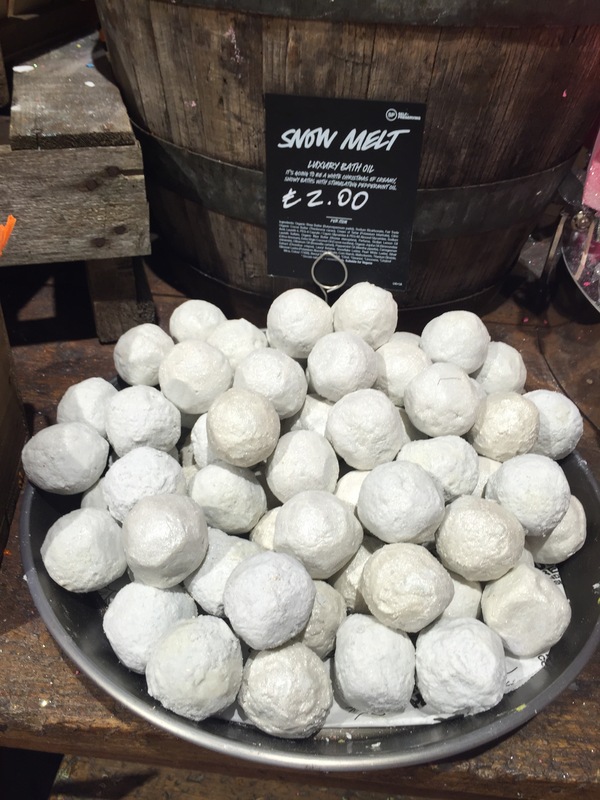 SNOW MELT BATH MELT: This is a perfectly white small bath melt , with a refreshing minty scent, and is currently a exclusive Oxford street product. 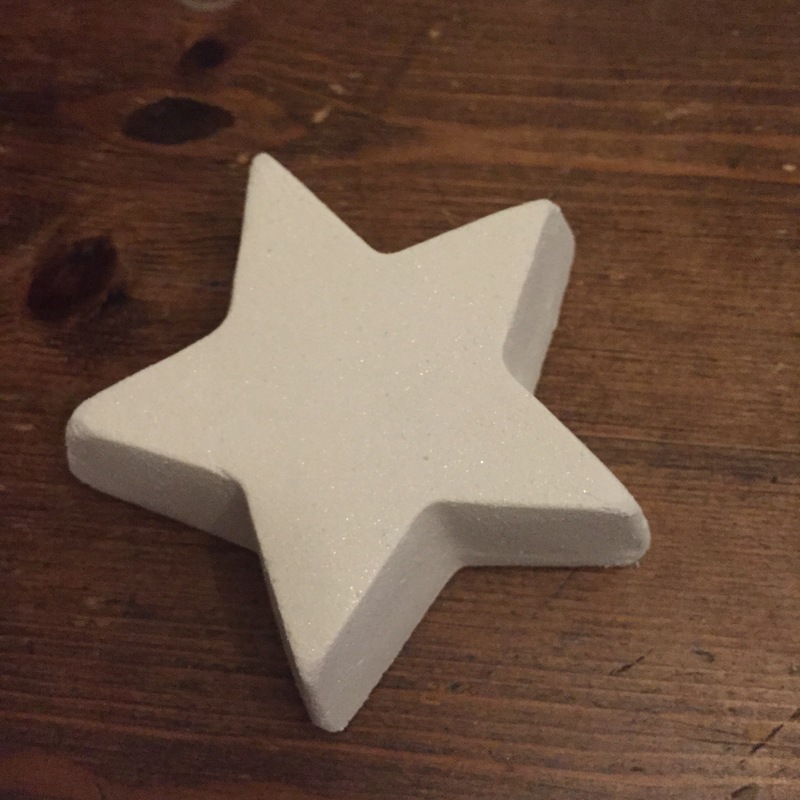 STAR DUST: This is a lovely small white star, with oodles of glitter. It smells of sweet vinilla with a slight hint of sherbet. 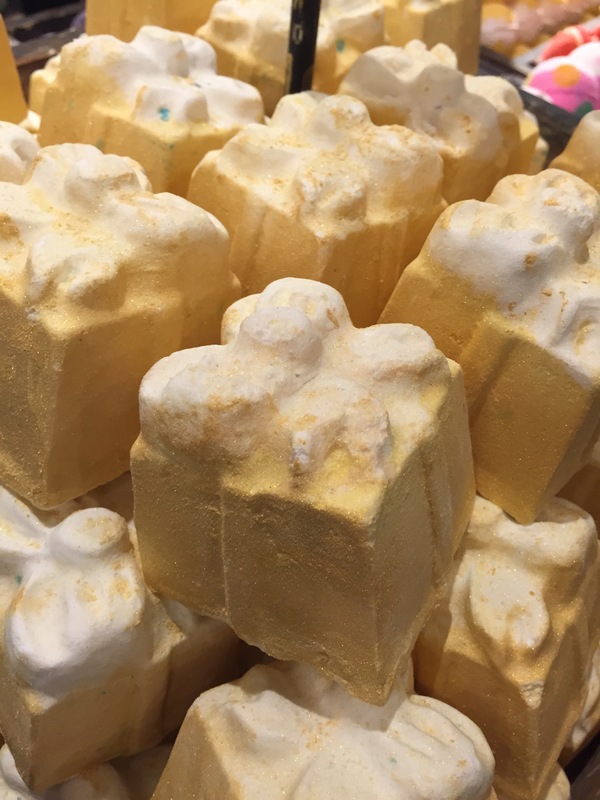 YOG NOG: an incredible toffee and vinilla scented bath bomb, with huge chunks of bath melts to create a bath bomb/ bath melt combo. 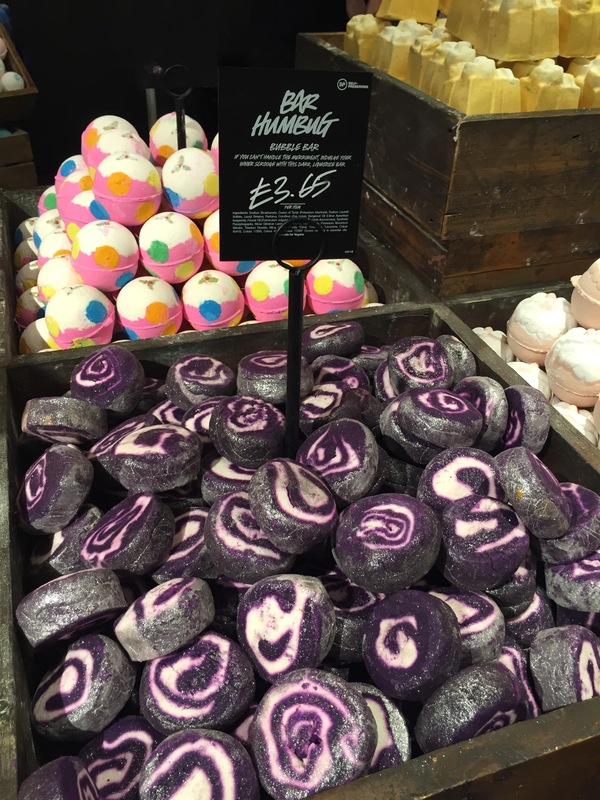 BAR HUMBUG BUBBLE BAR: a bright purple coloured swirly bubble bar with a sweet liquorice scent. 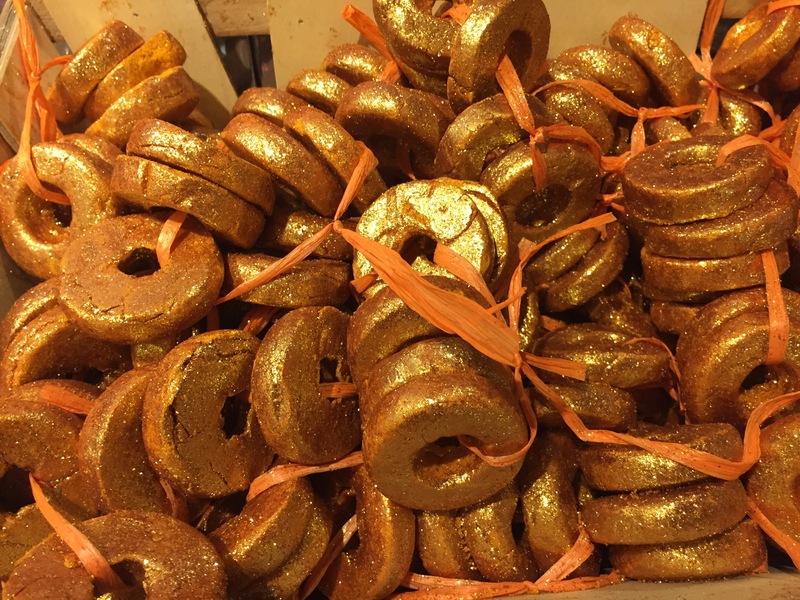 FIVE GOLD RINGS: A very sparkly collection of five bubble bars with a sweet vinilla scent. 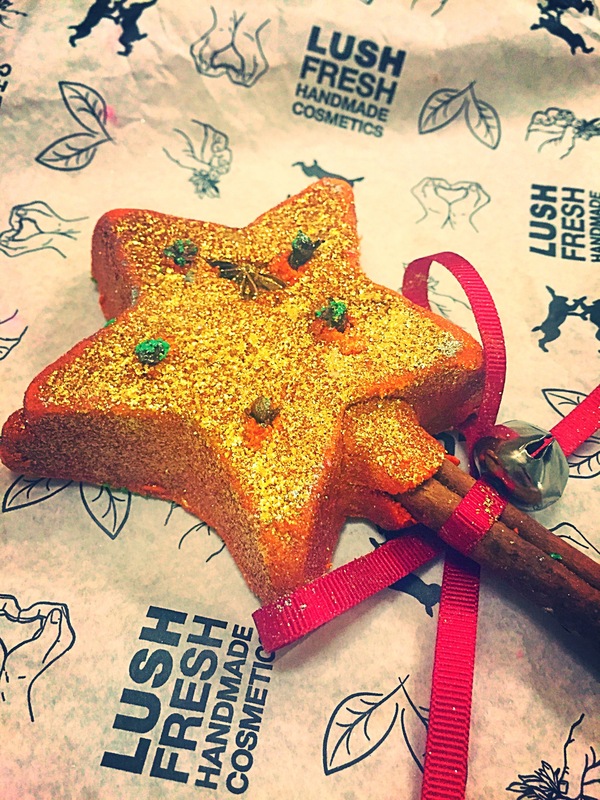 THE MAGIC OF CHRISTMAS: A very Christmassy reusable bubble bar in the shape of a wand, with a a scent that remind me of Christmas markets and spiced winter drinks. 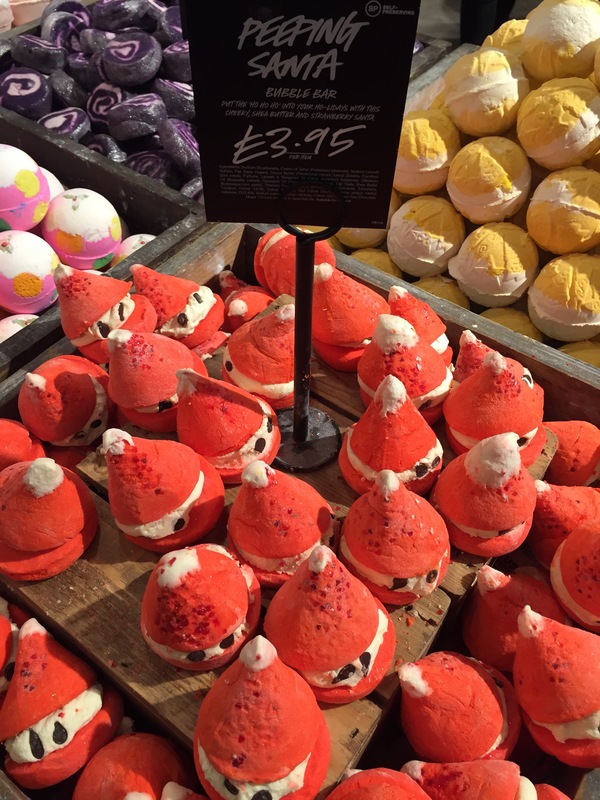 PEPPING SANTA: A cute bubble bar in the shape of a little Santa that shares it scent with yummy yummy shower gel. 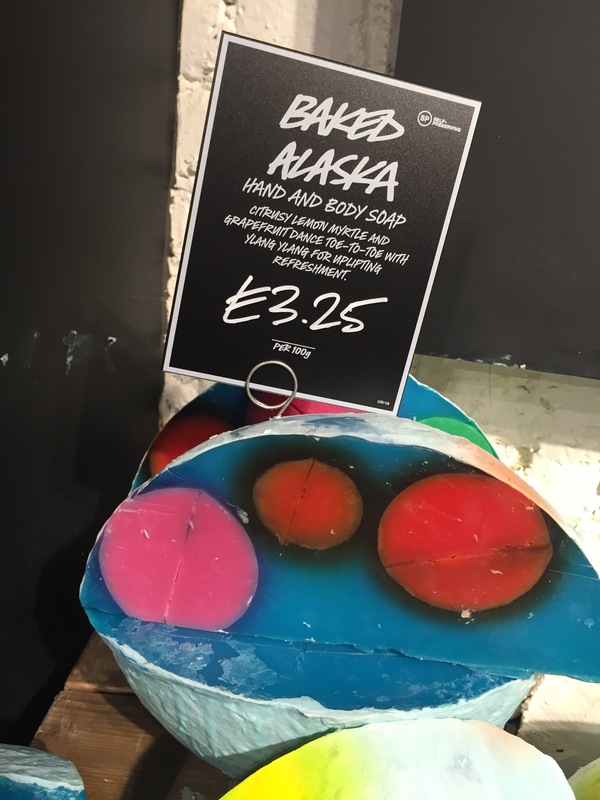 BAKED ALASKA: a very colourful and bright soap with a citrus scent. OLD FATHERS TIME: This is a new product for this year and has a stunning design. It is a very unusual scent. 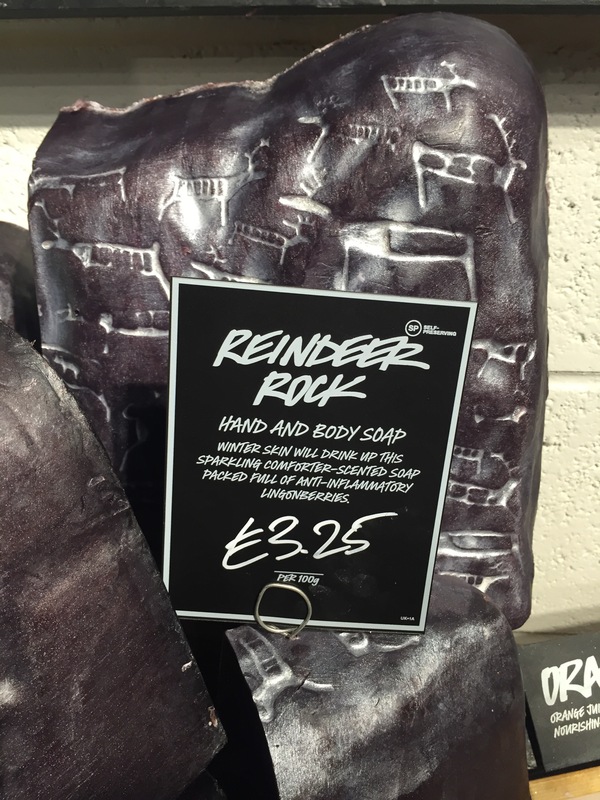 REINDEER ROCK: a lovely designed soap that shares is scent with the much loved comforter range. SNOWCAKE: a marzipan scented Christmas treat. 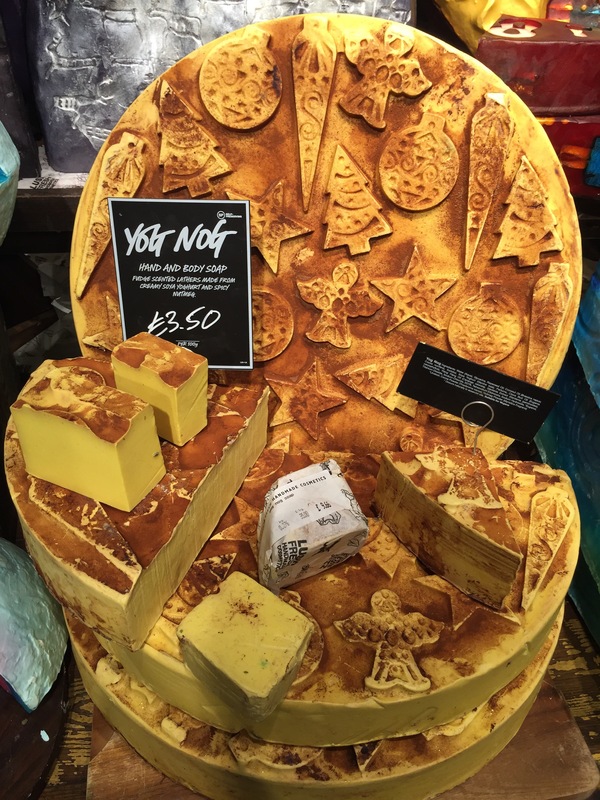 YOG NOG: The same as the new bath bomb, this is a delicious festive goodie. Shower gels and jellies are always great fun and this year is as good as ever. ROSE JAM SHOWER GEL: this is a lovely shower gel that shares its scent with the rose jam bubbleroon and it’s great to see it back for another year. 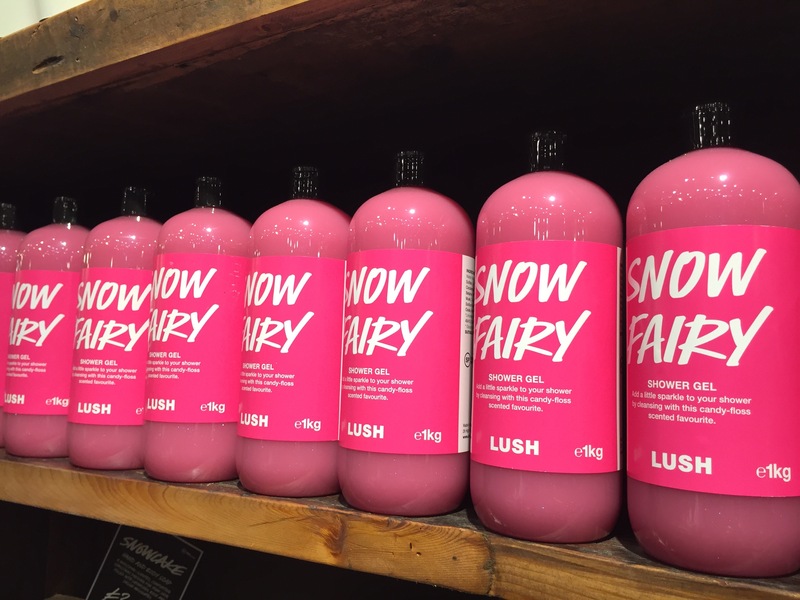 SNOW FAIRY SHOWER GEL: The most amazing sweet candy floss scented shower gel you will ever find. 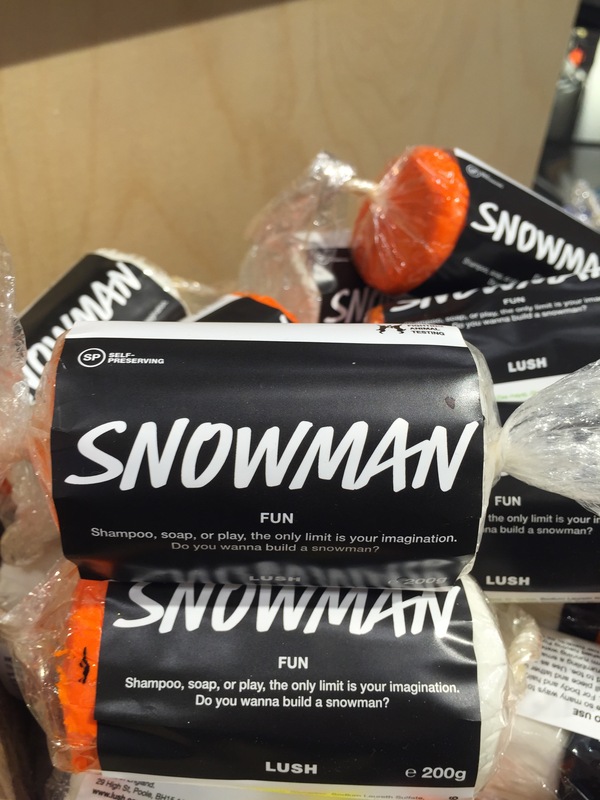 SNOWMAN SHOWER JELLY: A very cute snowman shaped shower jelly , with a lovely fruity zesty scent. SANTAS BELLY SHOWRR JELLY: new this year, this is a beautiful shower jelly full of lovely glitter stars that shares it scent with so white. CRANBERRY FESTIVE FACE MASK: A great way to get in the festive spirit with a fennel infused rose clay and cranberries. 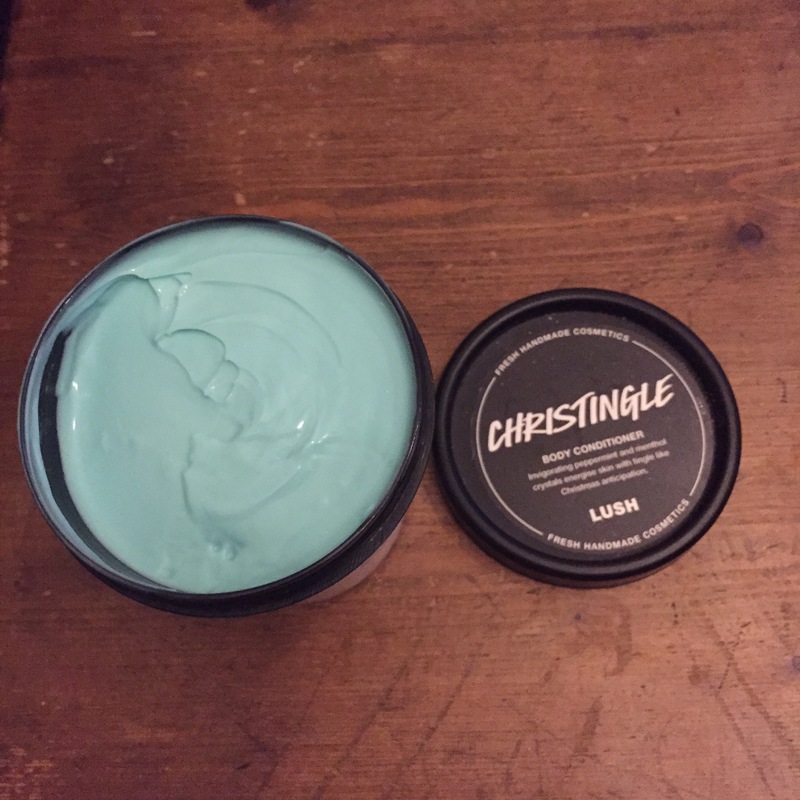 CHRISTINGLE BODY CINDITIONER: a lovely blue body conditioner with a minty scent and menthol crystals to add a tingle. 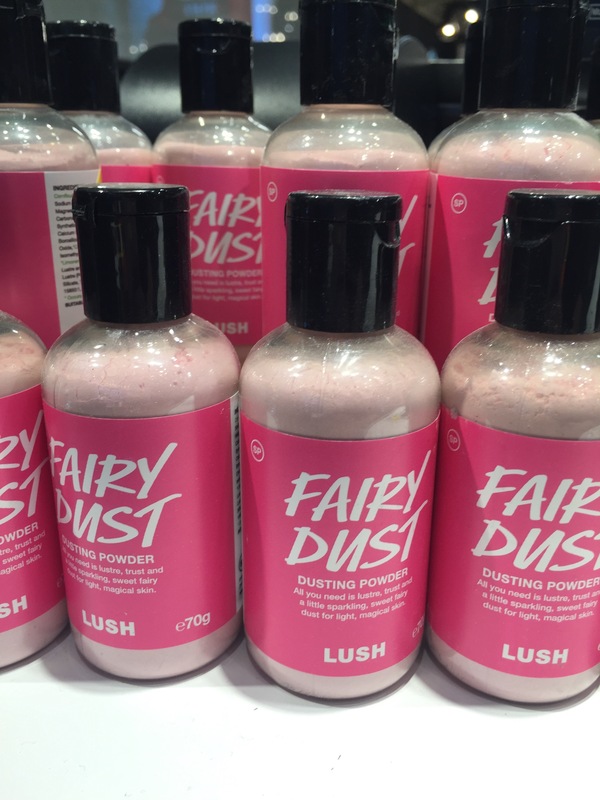 FAIRY DUST DUSTING POWER: If you are a snow fairy fan you will love this snow fairy scented pink sparkly dusting powder. ICING IN THE CAKE ROULDAE : this is a shower smoothie in its new format and is a lovely pale pink colour which shares with scent with the ponche shower gel. 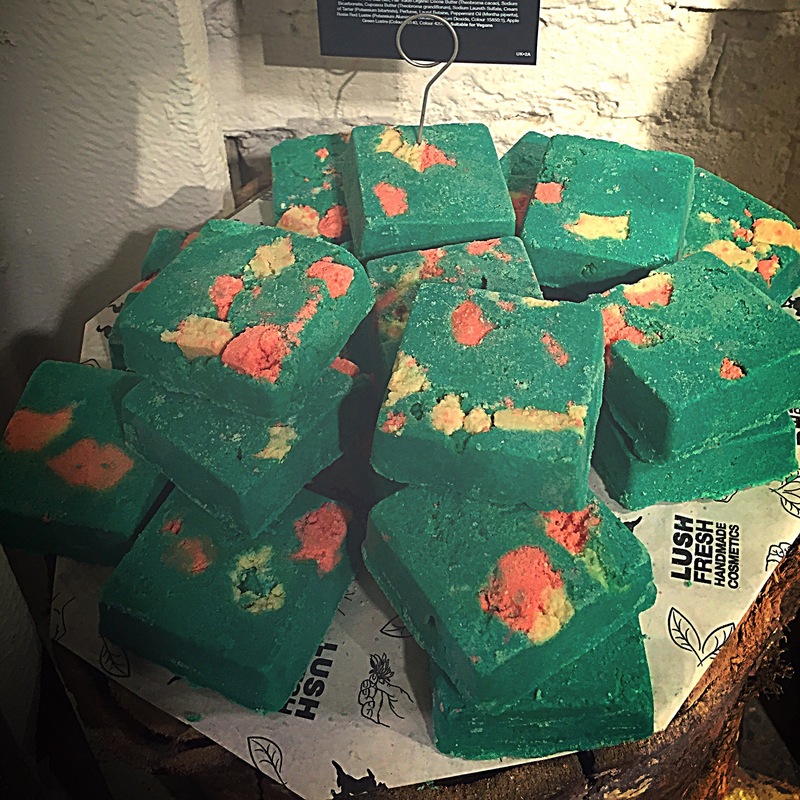 SALT AND PEPPERMINTY BARK: a lovely bright coloured solid body scrub which shares its scent with the maypole soap. Some retiring products from last year include the following, unfortunately I don’t have any picture of these. FIRST SNOW DUSTING POWDER: retiring from last year this white sparkly dusting powder which shares its scent with the celebrate body lotion. CELEBRATE BODY LOTION: This is a retiring body lotion that is great for soothing sore winter skin. With a lovely zesty orange scent. BUCHE DE NOEL: a great festive face cleanser that’s smells like cake batter. It’s so yummy. 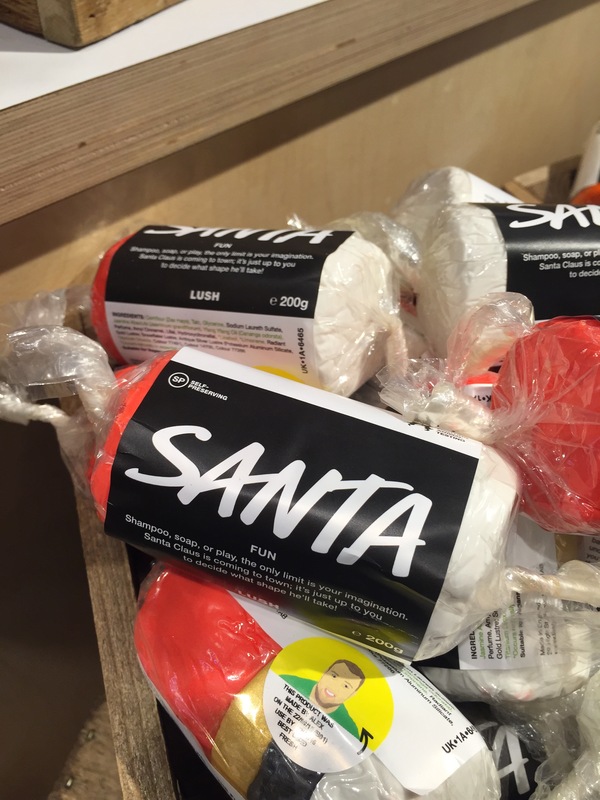 SANTAS LIP SCRUB: a great scrubby lip scrub with a cola bottle scent. SANTA BABY LIP TINT: this is a new format this year and is in a lipstick form and smells of cola bottles. 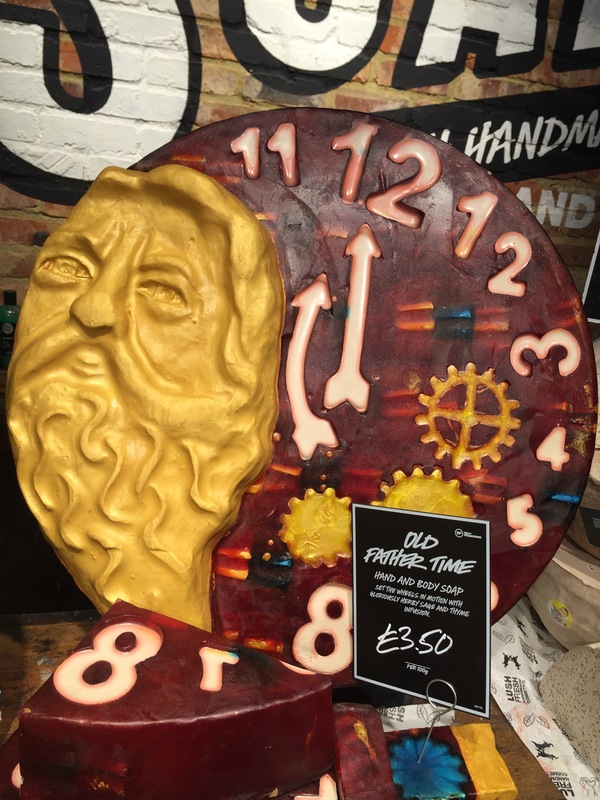 lush have also released several new funs this year. Well that is the range for 2015. I hope you enjoy reading about and looking at the new products. There’s so many products! I’m so excited! Great post!